We are stewards not just of those who allow us the sacred experience of peeking into their pain; but also of our own capacity to heal. 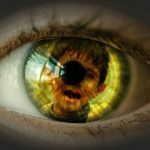 Secondary trauma is the emotional duress that results when one individual hears about the firsthand trauma experience of another. 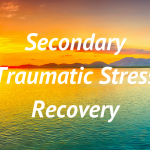 The symptoms of secondary trauma can mimic PTSD and leave many professionals re-experiencing trauma, theirs or their clients, in troubling ways. Those who serve others often notice an increase in arousal or isolation, and may begin to suffer memory and perception impairments, alterations in their sense of self efficacy, a depletion of personal resource and lack of safety or trust in others. 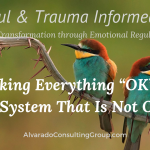 Client care can become compromised if staff become emotionally dysregulated. Many professionals leave the field all together believing that they can no longer serve others. 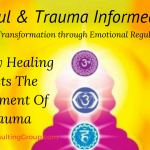 As a response to secondary traumatic stress, Emotional Regulatory Healing, ERH is a multidimensional approach to prevention and intervention. Involving the individual, supervisors, and organizational policy—ERH can yield a parallel process of positive outcomes for those affected by secondary traumatic stress. 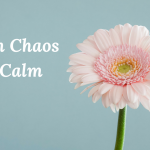 The most important strategy for preventing the development of secondary traumatic stress is the triad of psychoeducation, skills training, and supervision. As workers gain knowledge and awareness of the hazards of indirect trauma exposure, they become empowered to explore and utilize prevention strategies to both reduce their risk and increase their resiliency to secondary stress.